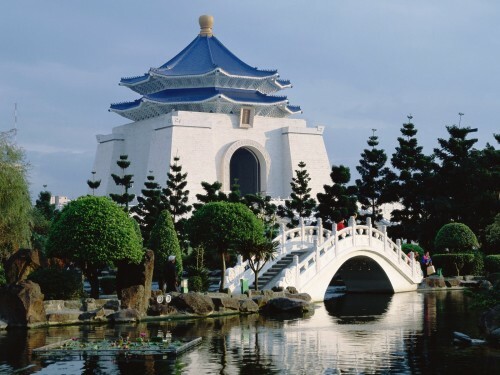 Celebrate New Year in Taiwan: only €480! Air China now offers great prices of flights to Taiwan from Germany. 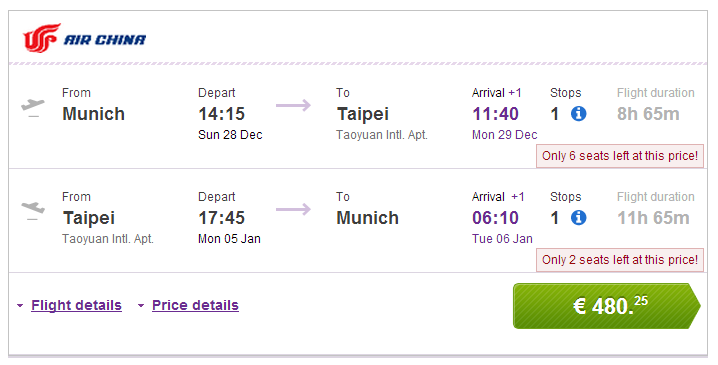 Return flights from Munich to Taipei are available for only €480! 23 kg luggage is included and you can expect 1 short stopover in Beijing. « Cheap flights to Spain: Warsaw-Barcelona for €51!